The parade, a tribute to twenty-six time TT Race winner Joey Dunlop, takes place on the Isle of Man on Saturday 23rd August as part of the Classic TT Races presented by Bennetts. The Ballymoney man, who won four TT Races this year riding BMW's including the historic PokerStars Senior TT Race seventy five years after George Meier's victory, will represent his late father Robert in a tribute lap that has been created to recognise some of his Uncle Joey's greatest rivals across his road and circuit racing career. The bike, the brainchild of ex-Norton employee Brian Crighton, is currently on display at the National Motorcycle Museum. Crighton has overhauled the bike, which hasn't run for many years, in preparation for its return to the Isle of Man Mountain Course. As well as participating in Saturday's parade, the bike will also be on display in the race paddock behind the grandstand during the Classic TT Race meeting. 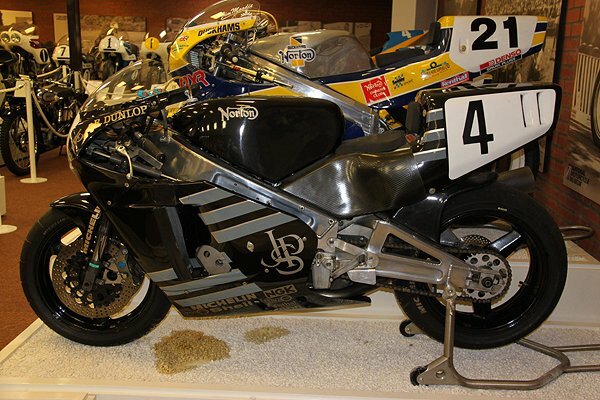 "I am very keen to showcase and celebrate the Museum and our collection in live action events and display our bikes as they were meant to be viewed and the Classic TT Races certainly fits with that objective", said James Hewing, the director of the National Motorcycle Museum in Birmingham. "The parade will not only represent a tribute to both Joey and Robert Dunlop but also the engineering achievement that the Rotary Norton represents." Norton's Rotary Racing campaign was one of British sport's great giant-killing stories. Starting out in 1987 with little more than a promising engine and the backing of the company's new owner, Norton returned to racing after many years' absence to score devastating success against the world's biggest marques. The first Rotary racer was the red, silver and blue RC588 with an air-cooled twin-rotor engine. Simon Buckmaster and Trevor Nation raced a scaled up version in 1988 to great success in the British Formula One Championship. 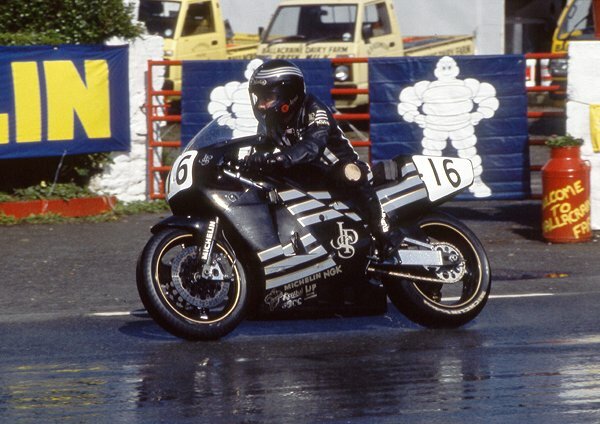 The John Player Special sponsorship in 1989, which saw Steve Spray scoop the F1 Championship that year, evoked Player Norton days of the Seventies and saw the new liquid-cooled RCW588 in its iconic black, grey and gold livery. The machine Michael will ride will be the same machine his father rode in 1990, notching a Norton double in the North West 200 and also finishing third in the F1 TT of that year. Michael will complete the tribute to his father by wearing specially created replica leathers and helmet. The bike will also appear at the VMCC's Festival Of Jurby on the Isle of Man on Sunday 24th August.